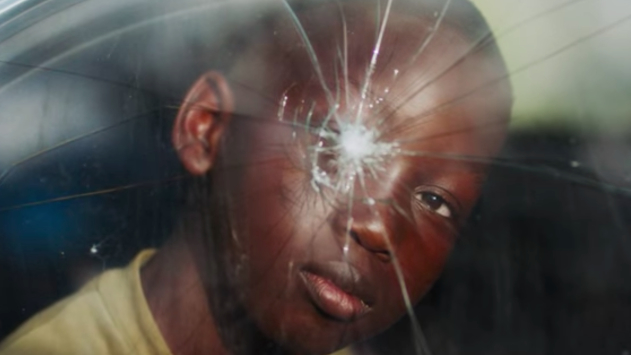 This past June, Kendrick Lamar fired off a new visual from his widely praised (and now Grammy Award-nominated) album, DAMN., giving his track "ELEMENT." the official music video treatment. As previously noted, some of the images found in the visual were inspired directly by Gordon Parks, a legendary photojournalist renowned for capturing stills that explore the lives of Black Americans, with his work dating back to the early 1940s and leading up to his passing in 2006. To celebrate Lamar drawing influence from Parks' iconic photography, the Gordon Parks Foundation today (Dec. 1) has opened a special exhibit showcasing the original photographs the Compton rapper reinterpreted earlier this summer. "Gordon Parks' work is continuing to have a great impact on young people – and particularly on artists like Kendrick who, use the power of imagery to examine issues related to social justice and race in our country," Peter W. Kunhardt, Jr., Executive Director of The Gordon Parks Foundation, said in a press release. "With 'ELEMENT.' the music video, Kendrick has helped to call attention to one of the most important artists of our time." As evidenced in Lamar's visual, Parks' work focused on exploring topics such as poverty and social justice. He was hired by LIFE magazine to photograph the day-to-day life of African-American families living under Jim Crow segregation laws in the rural South in a series titled "The Restraints: Open and Hidden," of which Lamar pays homage to in his own creative interpretation. Specifically, Lamar draws from the 1963 photo Boy With Junebug, Untitled, the 1956 photo from Parks' Segregation Stories series, Ethel Sharrieff, a 1963 photo from his "The White Man's Day Is Almost Over" photo essay about Black Muslims, as well as photos form Parks' 1948 Harlem Gang Leader series. "I'm so inspired that my friend Kendrick Lamar chose the iconic imagery of the legendary Gordon Parks in his video for 'ELEMENT,'" Swizz Beatz shared, speaking about the new installation. "It's a prime example of how contemporary change makers – artists, musicians, filmmakers, designers – can borrow from the greats of the past who were also working towards social change." For more information on visiting the "ELEMENT." exhibit at the Gordon Parks Foundation in Pleasantville, New York, please see here. The photos will be on display now through February 10, 2018. Revisit Kendrick Lamar's "ELEMENT." visual, which was co-directed by Jonas Lindstroem, K. Dot himself and TDE president Dave Free, below.